@bigapplevegan & @theroadsidevegan's 'Soul'-stice BBQ & Benefit for the Beagle Freedom Project. Co-hosted by @tattedvegan & @sabrinasith. Special Prix-Fixe menu - $55/per person. Food was tasty but was not told Valentine’s day was a preset menu for $75 each. Was unexpected but already had the reservation so we stayed. The music/dj during dinner added a really nice vibe. Lighting and cozy space made for a fun night. Very friendly and attentive staff! We had an excellent time! The music, the food and drinks AMAZING! Very good! Tasty food and lots of options. Met up with an acquaintance that likes to patron BOB’s and Urban Vegan kitchen was next on the list . 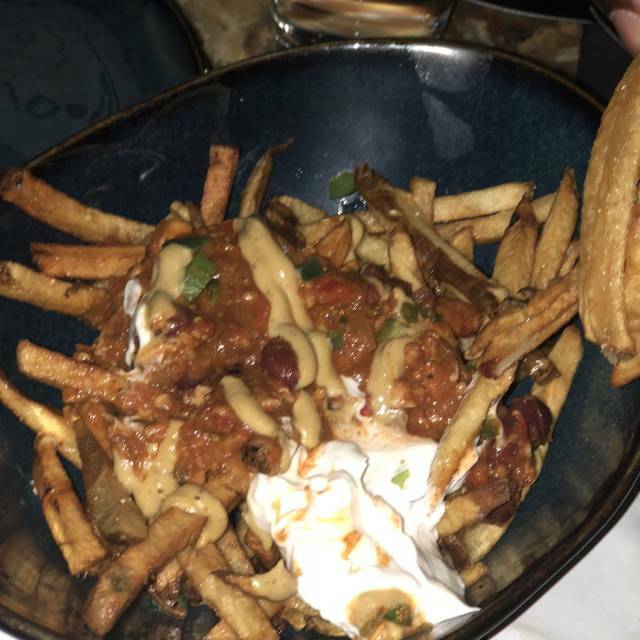 Everything was good from the vegan buffalo wings to the chili fries along with the chicken salad and the chickpea hush puppies . I would definitely recommend this establishment. Good food , service and ambiance. Visited from London, best vegan food we have had in a very long time! Mushroom burger was burnt but Great experience overall. Oh, Buffalo “wings” while very spicy were delicious! BOMB. Great vegan food with plenty of flavor. Definitely love this spot, and I have to visit every time I come to the city! 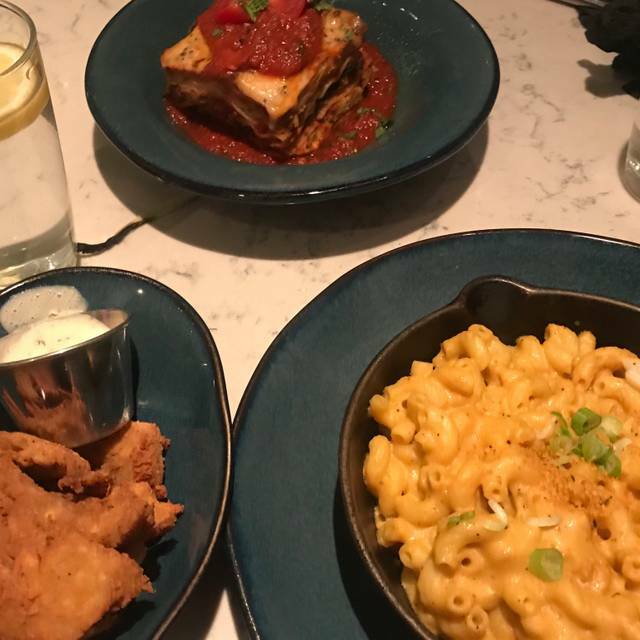 Unique vegan food (really enjoyed the chicken and waffles, the tofu scramble, and the buffalo wings) with a quirky ambiance. Wait staff wasn't very attentive, so we had to wait a long time between check-ins. But overall would recommend this restaurant to any vegans/vegetarians looking for a great lunch/dinner spot. Very good place. Maybe a little pricey for what you get, but overall a very good experience. I had the lasagna and it was nice. I’d like to try other stuff too. The food was salty. My veggie burger was dry and burnt. I asked for a moscow mule with tequila instead of vodka and what they gave me tasted like sour mix and tequila. 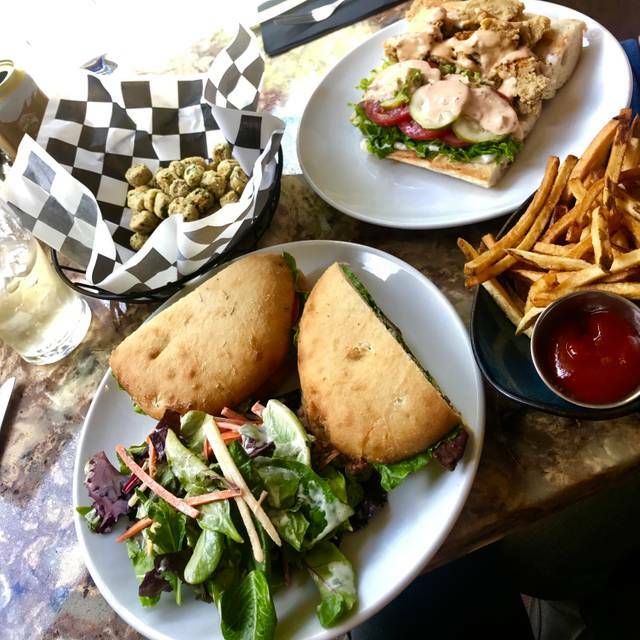 There are many other vegan places that have flavorful food without adding tons of salt. Will not be returning. Great food, music, and overall ambiance! Would definitely recommend to vegans and non-vegans. Jazzy little place in the heart of the village with terrific vegetarian food great service and decent prices. Highly recommended. You don’t need to be vegan to enjoy this food, it really is tasty and delicious! 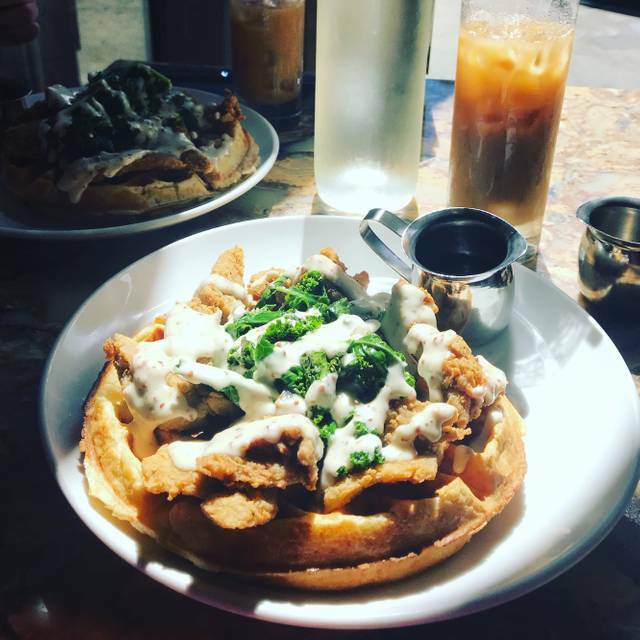 Delicious chik-un waffles! Great place for vegan brunch. Food was amazing, tons of creative, tasty vegan/vegetarian options. Service was a bit slow, but the server was quite pleasant. Wasn't super crowded, we sat in the downstairs area and it was quite comfortable. Would definitely recommend. 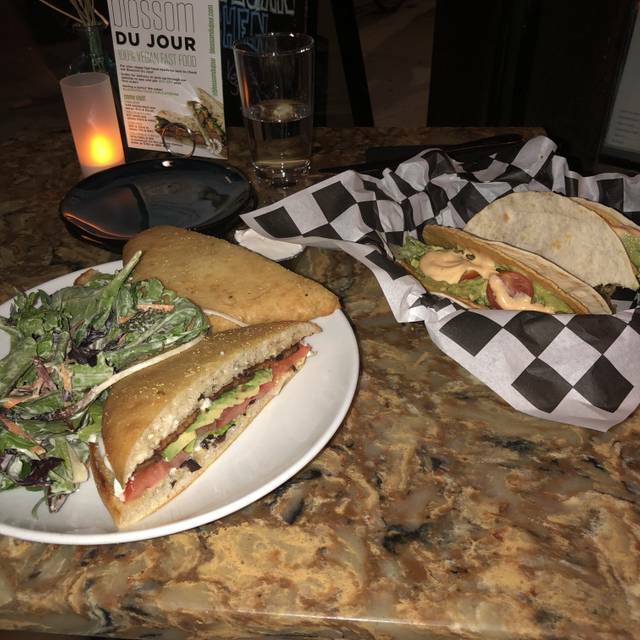 Great vegan spot. Friendly staff. Awesome food and good music. Prepare for a long wait for your food. Seems like kitchen is perpetually understaffed. Was truly surprised by the dramatic change in look, from when it was Blossom on Carmine (did not consider going back after eating there a few years ago), and the great improvement in the food...terrific!!! Tasty, a bit heavy on salt, decent sized entrees, but overall impressive! Would suggest they invest in an outside winter-enclosed removable entrance since on a cold day when that door opens, the wind and cold air hit anyone seated on the main floor...cools down your feet and food at the same time! Also to lower down the volume of music, so people can have a conversation. Great atmosphere and awesome food! It is a bit pricey for an out-of-towner but it was delicious! I would recommend going with a group and sharing everything - more bang and variety for your buck! Really great service, friendly staff, and very cool vibe. We made a reservation but had to wait a little bit which was fine because we were able to hang out at the bar. We had the hush puppies to start which were incredible. My husband had the tacos as his entree and it was a very nice portion of food and he loved the dish. I had the lasagna and it was probably the best I’ve ever had. This place is great for non-vegans who are looking to try out something different as well as those who maintain a vegan lifestyle. We finished off the evening with the salted peanut butter ice cream which tasted even better than dairy. We left totally satisfied, will definitely be going back. I normally love this place so I was extremely surprised by the poor service this past Sunday. I’m not sure if this is the usual for the brunch visits as I’ve only visited here in the evenings, but the service was slow, our table was not serviced regularly (i.e. no water, no clearing of the table, no drink refills) and our waiter was MIA most of the visit. Our waiter, although pleasant, seemed to be preoccupied with another large party downstairs. They may have been short staffed but I’m not certain. I don’t know who dropped the ball, but disappointingly, I must admit the service was awful. This is difficult for me to say as I cherish this place. Being that it was my birthday and I had reservations made it a souring experience. I sure hope they do better. I’d hate to have to put it on my “Been there done that” list. I'm in NYC. The vibe of this place was gently powerful w photos of some of the greatest musicians ever and wall writings that left you awakened. The FOOD was fabulous ( scrambled tofu sautéed kale potatoes shiitake bacon and fennel sausage Delicious!! Go if you have he chance- you'll be grateful you did! Great food, cocktails, service and dj!!! If all vegan food was like this, I could happily be a vegan! The food wasn’t good and the service took a long time. They also didn’t say that the different flavor mimosa would be additional cost than the regular. Thanksgiving dinner was a delight. 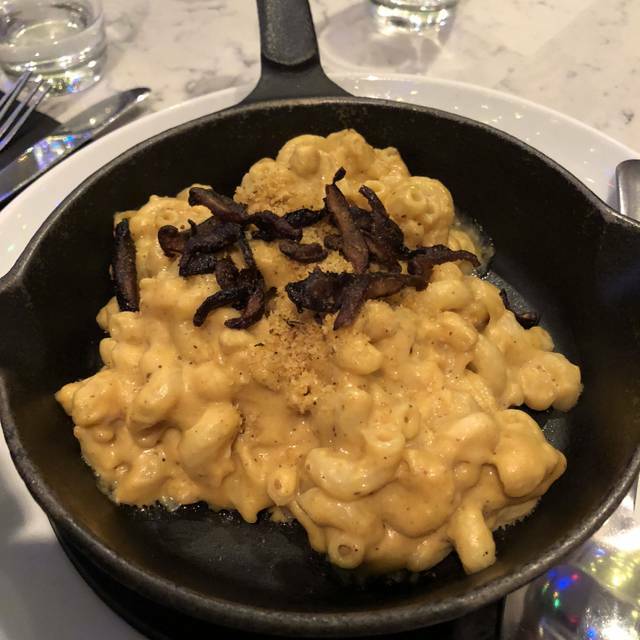 Mac and cheese was the best I’ve had since going vegan 20 years ago. 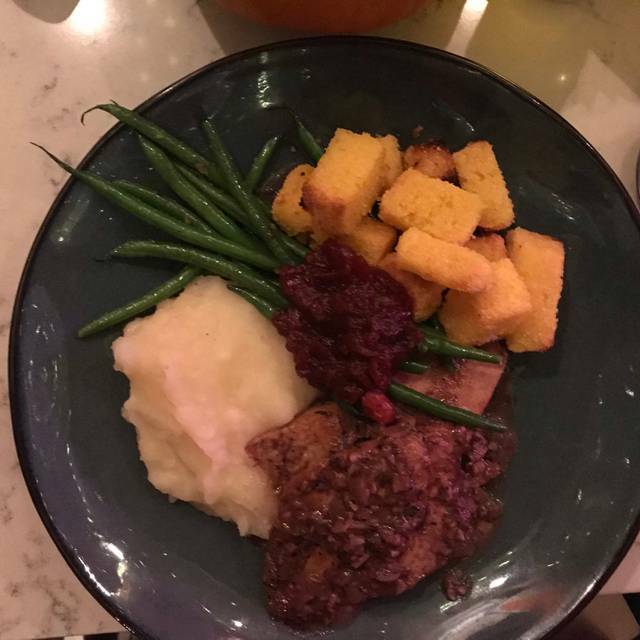 Went for the thanksgiving special, and it was delicious. A shining example of how good vegan food can be. I highly recommend the butternut squash soup and the roasted red beets for their flavor profiles. I also enjoyed the coconut ice cream. I gave everything else away. I do not recommend the Thanksgiving prix fixe. ($65. Not worth it.) This is not a gourmet tasting menu or a typical traditional holiday feast. The portions were quite small. I left hungry. We grabbed a quick bite at Peacefood for our lunch prior to the dinner. We should’ve done their sit-down Peacefood Thanksgiving for lunch! I wish we had booked a vegan Michelin star place for dinner instead of Urban Vegan Kitchen. Someone in my group was saddened there were no sweet potatoes, which has been at every Thanksgiving dinner I’ve attended. I was disappointed there was no green bean casserole, a traditional staple in the U.S. There was no mushroom gravy on the table. We were surprised. All in all, we’re accustomed to eating far more vegetables at meals. Love this place. We went for Thanksgiving. Really good options! Normally go for Brunch which is awesome ! 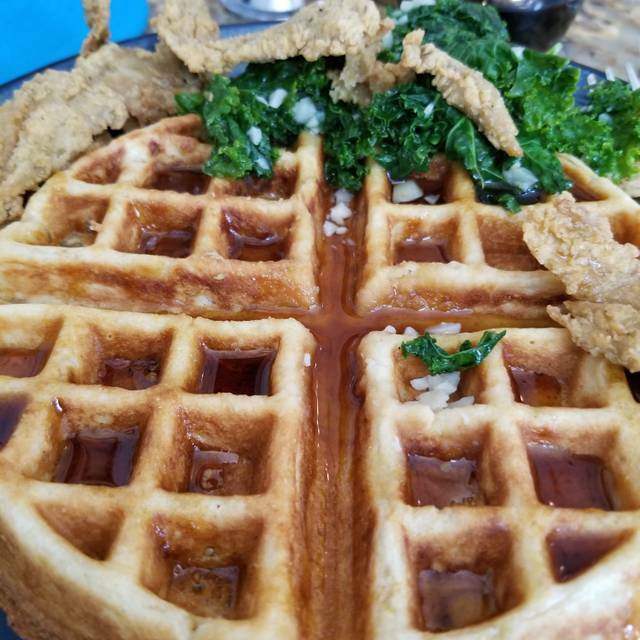 The Po Boy & chicken and Waffles are a must. As someone who isn't a vegan the food was absolutely delicious. Worst french toast I've ever had, pretty sure it was made of rubber. They forgot the side of fruit that comes with it, so when I reminded the server he came back with a pathetic plate of just two small strawberries. 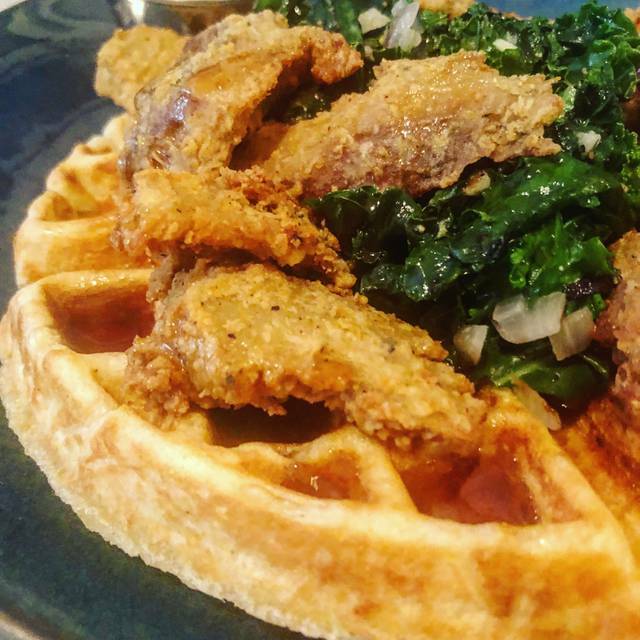 Seitan and waffles is overpriced and undersized, especially for mediocre waffles. The only positive part of the dining experience was the mac n cheese, which was delicious but not worth the trip. Overall, bad experience and would not go again or recommend.